Alright 2018 is done and I’m looking forward to an awesome 2019. This year has been extremely draining and our family is ready for a lower stress year. This is a bit later than I intended, but we have had an extremely busy January. A family friend and her 5 children, 2 of whom were best friends with two of my kids, passed away in a fire this summer. Mrs. C. has been taking 2 of our kids to counseling following this. This was such a tragic accident and has certainly taken a large toll on our family. A friend of mine from work also died in a car accident this past summer. 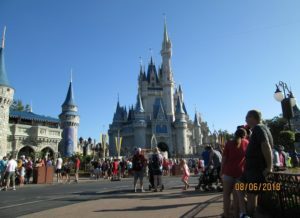 Disney Trip: We went to Disney World this summer and spent around $3,500. My sister and her daughter were able to join us there, which was really special because we don’t get to see them very often since they live in California. Although the heat and the crowds were intense we still had a good time. The perfect time to visit Disney is in February. The weather is beautiful, warm but not hot, and the crowds are much lower with kids being in school. Pull your kids out for a week and take them in February rather than in the summer if it’s at all feasible. Museum of Science and Industry: For 2018 we had a membership to the Museum of Science and Industry in Chicago and took 5 trips total there. We got to do all of the extra stuff which without a membership is prohibitively expensive for a large family. We paid $300 for our membership and it was well worth it. We were also able to take my other set of nephews and a friend’s daughter thanks to the free guest passes we received. Downtown Chicago is just shy of a 2 hour drive from where we are at so it makes for a convenient day trip. 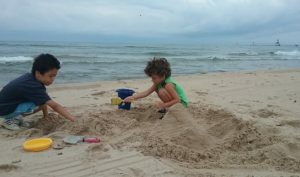 Beach: We live about a 10 minute drive from Lake Michigan and took the kids to the beach rather frequently this summer. We also drive about 20 minutes to a small inland lake with a public access to take them swimming as well. I prefer taking the kids to the beach on cloudy weekdays, there is NO ONE there. One of the benefits of having the summer off of work, avoiding the crowds. 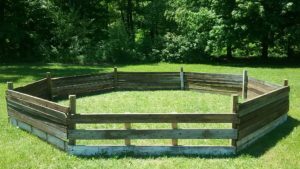 Gaga Ball: I built a Gaga Ball pit this spring from scrap wood I got for free off of craigslist. Using my subpar carpentry skills I was still able to create an Octagon and the Gaga Ball pit gets a ton of use from the kids, especially when we have company over. All of the kids are in Scouts and they play Gaga Ball at camp, so I decided to make one at home for the kids to use. Our spending was through the roof this year. We spent just over $58,000 this year, which honestly isn’t that bad for a family of 6. We spent $3,500 on our Disney vacation, we finished phase 1 of our oldest kids braces, and then had to put kid #2 in braces as well. Mrs. C. has also had higher health costs this year due to her Graves disease. The first half of 2019 will also have dual braces costs as kid 1 starts phase 2, which combined are approaching the monthly cost of a typical American car payment. Spending for 2019 should be closer to $50,000 total. Income: It became apparent in mid August that we were not going to earn as much as we did in 2017. My Fall season was much lighter than expected, although an extra job at the end of the season made a big dent in getting us closer. Since I didn’t have a job at the start of the Fall outage season I ended up having a 4 month vacation this year. Not bad! We ended up earning $10,000 less than we did in 2017. For 2019 our income will be more predictable. I have two refueling outages at my home plant which I can generally estimate my income on within 5% + or -. Savings: In total we saved $23,000. This was split about evenly between retirement savings and extra on our house, with a few thousand extra going into our bank accounts to stay liquid. We saved another $7,000 through the principal portion of our mortgages for $30,000 of total true savings. Stock Market: We added around $11,000 to our retirement accounts, but you wouldn’t know by looking at them. Our additions were offset by the December stock market drop and we ended the year with only slightly more in our retirement accounts than what we started the year with, but at least we have more total shares! Housing: Our primary mortgage is down to $56,000 and our rental house is down to $19,000. We just purchased another rental with a HELOC on our primary for $19,000. Including closing costs and rehab we are at $23,000 invested and have it rented out at $600 per month. We will be doing several more rentals in the future, concentrating on 4 bedroom houses. Fun: For 2019 the majority of our outings will be free / low cost. We will take a few camping trips and the boys are all participating in Scouts. This spring I plan on removing our play set that is designed for 5 – 7 year olds and replacing with a large 4 place swing set that will be usable for toddlers to grown ups. Total cost should be under $200. Income / Savings: Our income should be more stable for this year, but with our planned expenses for braces we are aiming for a 40% savings rate. Housing: I want to buy another house in 2019 if we can find a deal in the area we want. Our next house purchase will be a conventional 30 year loan. I will continue to pay down drastically on our primary residence and plan on owing under $35,000 at the end of the year. That’s about it for our 2018, I’m looking forward to a positive 2019. How did 2018 go for you? One Response to "Quarter 4 2018 Update"
Sorry to hear about the hardships. That’s rough. An old friend of mine from grad school died back in November from cancer. 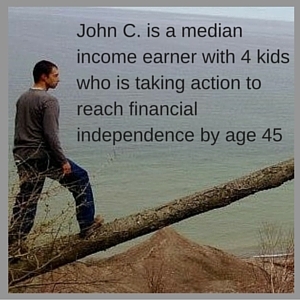 He was only 38, with a wife and three kids. Life is rough sometimes. Glad to hear that your estimated spending for 2019 will be lower. I hope that’s the case with us, too. We spent far more in 2018 than in previous years. Like you, we’re also planning some free/low cost trips this year, such as camping our way from Texas to Montana (and back). Should be fun. I wish you and your family all the best this year.